RCBC Wales will fund up to eight First into Research (FiR) Fellowships. 1. Eligibility check forms are to be completed and returned to marina.mcdonald@southwales.ac.uk any time up to 15TH FEBRUARY 2019. Applicants will be notified within 10 working days of receipt of the check form whether they meet eligibility criteria. 2. To assist in refining their ideas, eligible applicants will be invited to participate in a webinar with experts in research design, qualitative and quantitative methods, patient involvement, ethics, and health policy and service improvement.They will also consider maximising impact and managing their project. The webinar will be held on 5th MARCH 2019. 3. Following the workshop applicants will be invited to submit a full proposal application form by 15TH MARCH 2019. 4. After shortlisting full proposal applications, selection will be conducted via interviews. Interviews will be held on 26TH MARCH 2019. This longitudinal, cross-Wales, multicentre case study will be looking at the 'what, when and how' to teach genomics to (mainstream) health professionals. This studentship is funded by the EU through the Knowledge Economy Skills Scholarships (KESS). The successful candidate will be looking at learning needs and preferences of NHS staff; approaches to education delivery and measuring changes in knowledge and attitudes. Wales and other countries are investing heavily to embed genomic healthcare within their health services and so this is a very timely study as staff education has, to date, lagged significantly behind investment in technological infrastructure. I’d encourage anyone with an interest in (health) workforce development and training, (adult) education or behaviour change to apply. The genomics education for NHS staff (that will occur alongside this PhD) will be delivered through Genomics Partnership Wales and so candidates do not need a background in genomics. We have a supervision team that includes an educationalist and a psychologist (who has worked with previously with the Director of Studies on behaviour change, genomics and the health workforce). Please see the attached PDF for further details. I can of course be contacted for further information (emma.tonkin@southwales.ac.uk (01443 483156). The QNI has announced a new opportunity for nurse-led projects in the community starting in 2019. Thanks to funding from the Burdett Trust for Nursing, the QNI is delighted to open applications to develop a nurse-led project in the community focused on people living with frailty. We are seeking ten projects for funding. Each project will receive up to £5000 and a year-long programme of support from QNI staff, including workshops and site visit. The closing date for completed applications is 31st January 2019. Educations available for Nurses, Midwives and Health Care Assistants. Our education grants fund a wide variety of learning, development and research opportunities, providing the support individuals need to make a difference to quality patient care. The RCN Foundation believes that patients deserve the best possible experience and care, delivered by well trained and high performing professionals. For nurses to be able to keep up to date with new developments and use their knowledge and skills to transform the care their patients receive, it is important they engage in development opportunities and shared learning. There are ten grants available, with various opening and closing dates. 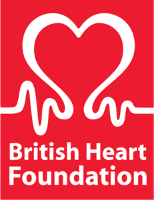 The British Heart Foundation (BHF) provides a wide range of grants for short and long term research projects, essential infrastructure and strategic initiatives. The BHF fund all types of cardiovascular research, including on stroke, vascular dementia and diabetes, and from the lab to the clinic and the community. The Wales School for Social Care Research (WSSCR) is offering PhD Studentship Awards for social care research. The Wales School for Social Care Research is funded by Welsh Government to build strength in excellent social care research with real-world application and positive impact on the well-being of people in Wales. The School is a part of the wider Health and Care Research Wales infrastructure, with the School Hub in the College of Human and Health Sciences at Swansea University and staff located at Bangor University and Cardiff University. These grants support capacity-building in health research by funding high-quality research projects that demonstrate a clear benefit to patients, service users and carers or the organisation and delivery of effective healthcare service in Wales. Grants are worth up to £250,000 over a period of 24 months. This award enables individuals to become independent researchers and to under­take high-quality research. The total budget of this call is approximately £900,000. Three to four awards are anticipated, and are expected to be up to three years in duration. This scheme supports research directed at achieving benefit for users of the NHS or the public health of the people in Wales. Grants are worth up to £230,000 over a period of 24 months. These awards provide NHS staff with the opportunity to apply for protected time to engage in research activity and to develop their research skills. Applicants are expected to apply for research time of one or two sessions a week for a maximum period of three years. Health and Care Research Wales is pleased to announce a new call for applications to the Health Research Fellowship scheme. The Fellowships aim to support individuals to become independent researchers and to undertake high quality studies. Applications are invited from across all sectors and scientific disciplines. The following information is subject to change. This award supports supports capacity building in social care by funding research pro­jects that aim to provide evidence with relevance to patients, service users, carers, and the organisation and delivery of effective social care services. This scheme provides funding to cover the excess treatment costs of exter­nally funded non-commercial research in secondary care carried out within NHS Wales. Applications are invited for grants in medicine and health for the Butterfield Award Programme. The principal intention of the programme is to enable researchers, practitioners, policy makers and voluntary sector workers in Japan and Britain to share experience and advance knowledge and good practice, and to facilitate UK-Japan professional exchanges and small-scale collaborations. Applications can be in any relevant field of medicine and health. Projects in the economics and management of healthcare, public health and the interface between medical and social care are particularly welcome. Grants are not available to fund laboratory consumables and equipment nor for the purely clinical costs of joint research projects but are intended, for example, to help towards travel and living expenses of such research collaborations, or towards seminars, conferences, workshops or publications. The deadline for applications is 15th December 2018 for projects beginning no earlier than 31st March 2019. The commissioned workstream invites applications in response to calls for research on specific questions which have been identified and prioritised for their importance to the NHS and patients. Proposals may include primary research, evidence synthesis, or feasibility and pilot studies. See our current funding opportunities or download a list of potential future research topics currently being developed. The Health Technology Assessment (HTA) Programme funds research about the clinical and cost effectiveness and broader impact of healthcare treatments and tests for those who plan, provide or receive care in the NHS. The PHR programme invites applications from researchers whose studies will generate new knowledge on the benefits, costs, acceptability and wider impacts of non-NHS interventions intended to improve the health of the public and reduce inequalities in health. The researcher-led workstream offers researchers the opportunity to submit proposals on topics or research questions within the programme’s remit. Round 6 now closed (deadline 14 September). Next call to be announced. Knowledge Mobilisation Research Fellowships (KMRF) are designed to support a balance of innovative knowledge mobilisation and research into the processes and impacts of such innovation. Through innovative practice and systematic study of that practice KMR Fellows should advance knowledge and understanding about research use, influence and impact. Now closed (deadline 13 September). Next call to be announced. Funding is for up to two years with a value of up to £75,000 per year. Funding can cover salaries, consumables (including animal costs) and small items of equipment that are essential to the project. Pilot grants are available for up to 18 months of funding for up to £25,000. Funding will cover salaries and consumables (including animal costs) only. This scheme offers practising health professionals the opportunity to carry out humanities or social science research, in any area of health. The US-UK Fulbright Commission provides generous grants to UK citizens for study, research and teaching in the USA, in any subject and at any accredited US higher education institution. Summer Institutes for UK undergraduates to experience the US in a unique summer programme. *Please note that the "visiting student researcher" option should be used for applicants who will pursue research projects at a degree granting accredited education institution while currently enrolled in an UK/European Master’s / Doctorate programme. Applicants will be required to engage in an independent full time research project under the supervision of a research advisor at their U.S. host institution. In order to apply for a Fulbright award you must be a UK citizen, resident anywhere except the United States. Non-UK citizens are required to apply in their country of citizenship, even if they are resident in the UK. Each award has additional specific eligibility criteria. Please review the Selection Criteria tab on each award's page for more information.